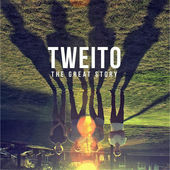 The Great Story, The second full-length Tweito album comes bearing a little more fire power than its predecessor; band leader and namesake Justin Tweito now has his live band on record with him and while the sound is still firmly rooted in modern indie pop and rock, it carries a little more weight in the sense that a band dynamic is now present. 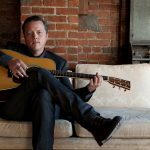 Still, the sound is familiar – the Columbia songwriter’s pure knack for constructing pop songs is stronger than ever even if the recorded personality of the band has changed. 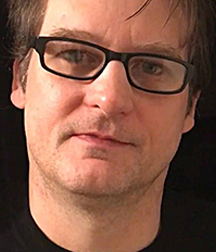 He has obviously gotten the right guys onboard; Ben Wolverton throws out a serious guitar attitude that leans on both older alt rock cornerstones and tries to update them in a modern context. Drummer Blake Edwards isn’t used as much on the slower stuff, but he is a force on the rocking material and bassist Daniel Amick plays to the strengths of the songs and even lays down some great banjo when called upon. First song “Pride of the Lion” strives to explore a new, more rocking territory for the band. The pop edge is always there, never dormant, though, thanks to Justin Tweito’s always immaculately designed and executed arrangements. The great riff that’s swirling and echoing, almost post punk, at the center and underpinning the song shows that the band has paid attention to a lot of ’80s alt rock. And where did that guitar breakdown come from? It’s a cool mood shift that creates a nice twist on a very catchy tune. “Ocean Love” is bouncy and dance-oriented at the start but the big ethereal guitars take it back to straight up indie pop. 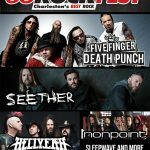 “Carolina Sky” is radio hit ready. Tweito’s lyrics are usually deceptively simple, and these are devoted to a girl whom he tells, “The Carolina sky has nothing on your eyes”. It’s laid back alt rock but with a symphonioc grandeur. “Animal Hunger” is more alt pop, with a buried keyboard part that shines through. As usual, the arrangements are really pro and it’s hard to believe what we are hearing is coming from a band this young; The soul-searching lyrics are thoughtful and mature. “Blue Eyes” is straight up pop with blissed out acoustic guitars, an Ed Sheeran-style love song. “Tidal Wave” is driving indie pop with minimalist lyrics and a cathartic rock ending, breaking into an effects-laden guitar solo that attacks hard when the listener is least expecting. With its shoegazy feel, “Paravel” is moody but groovy. Is he making references to the Bible or Narnia? It’s hard to tell, but Justin’s eerie falsetto adds to the atmosphere of this bit of chill out rock. “Covenant” starts out with just acoustic guitar and vocals, but eventually the band kicks in to drive home the message of what might just be a marriage proposal. “Gone” is a piano-based pop ballad dealing with the fear of death and faith in something beyond that same foreboding while the last song, “Heart” finally gives us the allusion to the album title in the lines: “There’s nothing on this earth that stays/Except for all the glory/Told in the great story/We celebrate from page to page”. The guitar riffs ripped straight out of the Edge’s playbook give it a warm, nostalgic feel if you happened to listen to rock music in the ’80s. Tweito does a great job of taking patches of inspirational lyrics and weaving them into a secular garment, where their tailoring can be appreciated on several levels. In other words, there is something to be found here for lots of different listeners; distinctly faith-based musings if that’s what you’re looking for, but also the sorts of songs that can be appreciated even if you are oblivious to this context. The message never seems heavy-handed, but the band’s massive pop intensity is hard to ignore. It’s difficult to imagine a band this young but so masterful not becoming super popular, and maybe The Great Story will get Tweito started on that path.